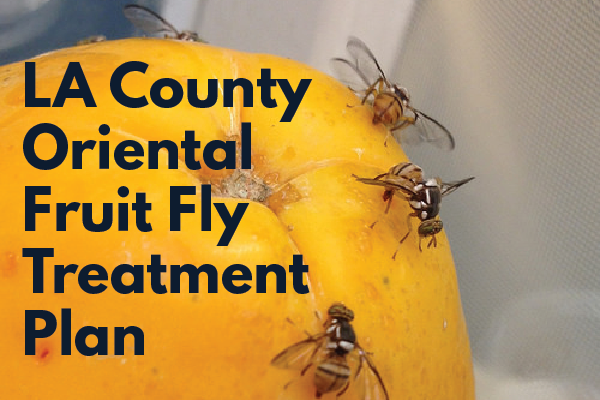 After trapping two Oriental Fruit Flies locally, Los Angeles County is moving quickly to stop the spread of these flies, which can affect over 400 types of fruits and vegetables. ﻿ Read the Plan Here. If you're interested in becoming a certified baseball and softball umpire, then join the FREE Baseball League Umpire Education (B.L.U.E) Program at Northridge Recreation Center! Once you've completed the program, participants will receive a B.L.U.E. Certification from City of Los Angeles Department of Recreation and Parks and an umpire starter kit for free! The program is opened to both men and women. 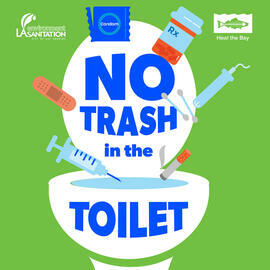 Register today by emailing David Gadelha at david.gadelha@lacity.org or calling (818)-765-0284. 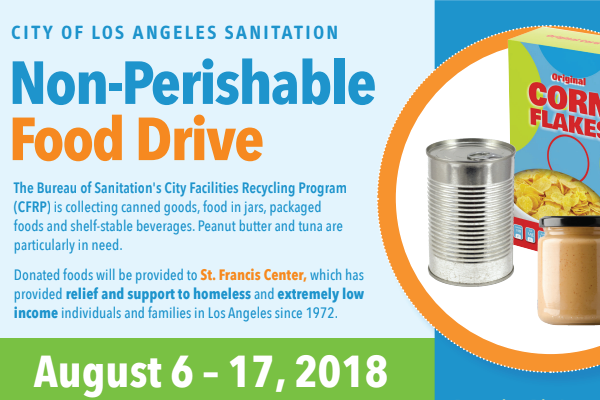 You can contribute to LA Sanitation’s Non-Perishable Food Drive, happening Monday August 6th – Friday August 17th. Tuesdays this Fall at LA Law Library , learn all the things you “didn’t know you needed to know” about building your business. Solar Movie Night: Watch The Lorax with GRID GLA & Audubon! The City of Los Angeles is in the initial stages of developing an Urban Forest Management Plan (UFMP) funded by a grant from CAL FIRE. The goal of the UFMP is to help guide the planting, care, protection, and sustainability of the City’s urban trees. To ensure this plan considers and incorporates resident priorities, the following survey is provided for your voice to be heard. 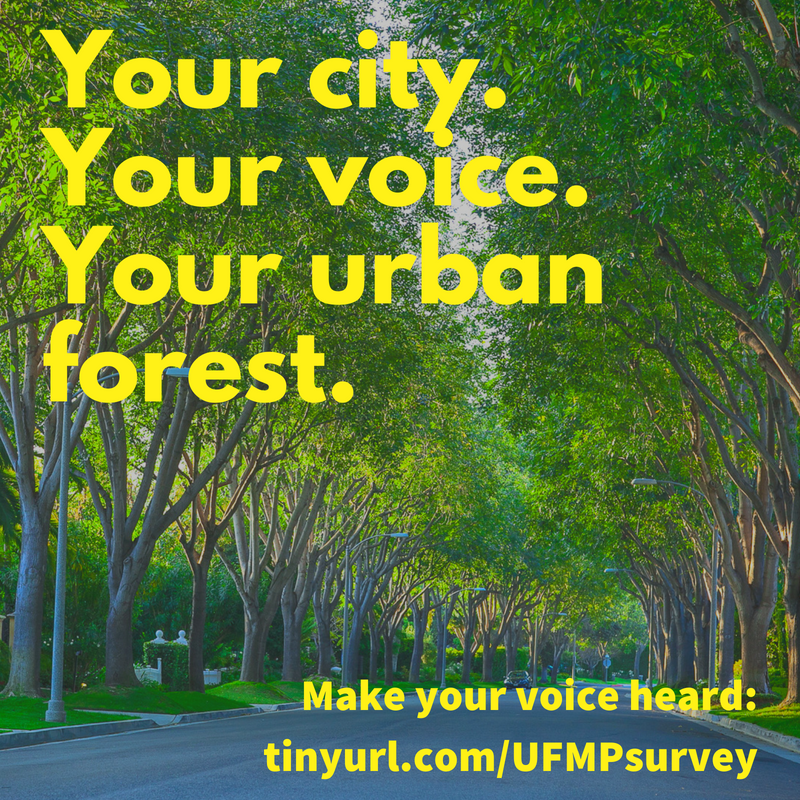 We want to know where focus should be placed as the UFMP is developed. This survey will be collecting responses through August 10, 2018. The next Cadet Leadership Academy starts on August 11, 2018! 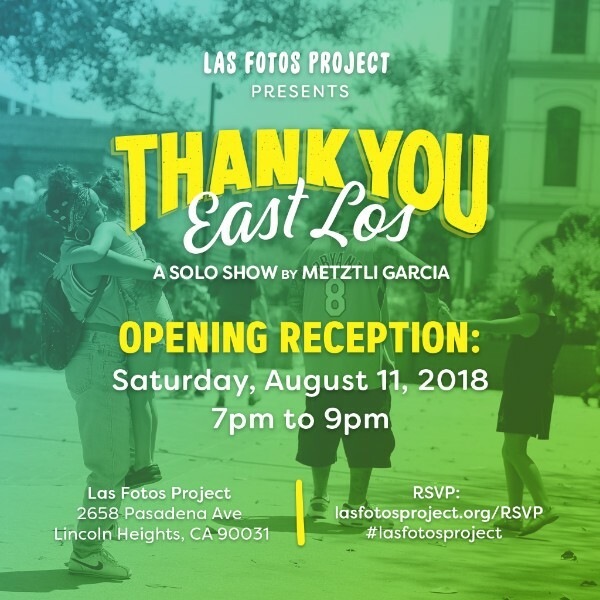 You can head over to your nearest LAPD Police Station and ask to speak with a Youth Services Officer (YSO) for more information. If you really want to be prepared, download and complete the Cadet Application so you can give it to your YSO when you meet! August approaches. With it comes the start of school and the realization that 2018 is already more than half way gone. Take a look at the August schedule so you can make plans to attend the things that look good to you. You'll note that the library has a new service, Walk-in Tutoring (for adults), every other Thursday evening and a Minecraft Workshop for kids that requires registration. Click here for the latest Library News. Puppets in the Park - August 19th. LA City Seasonal Pools are officially open for the summer? Splash into a fun and healthy sport this summer with SwimLA! As a City of Los Angeles Department of Recreation and Parks program, SwimLA offers affordable swim lessons for kids ages 4-17 at all City pools, all summer long. Swimming not only beats the summer heat – it teaches kids a lifesaving skill. Morning, afternoon and evening lessons are offered from June 18 – August 31. Space is limited. 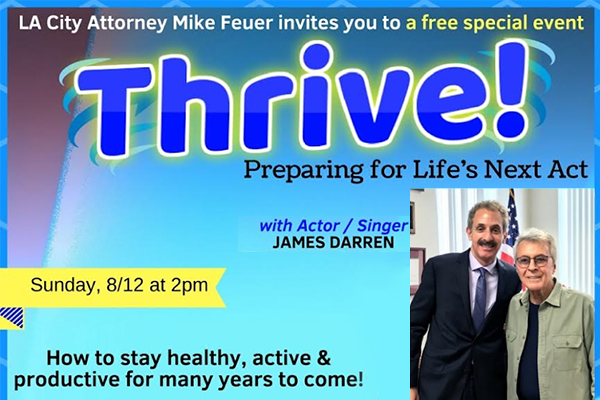 Encourage your family members, colleagues and community to sign up today! The Swim LA program ensures that everyone is given an opportunity to learn how to swim by offering lessons at a low cost. Scholarships are available for qualified patrons, on a first come, first served basis. You can sign up today at www.SWIMLA.org , or in person at designated swimming pools or call (323) 906-7953 .